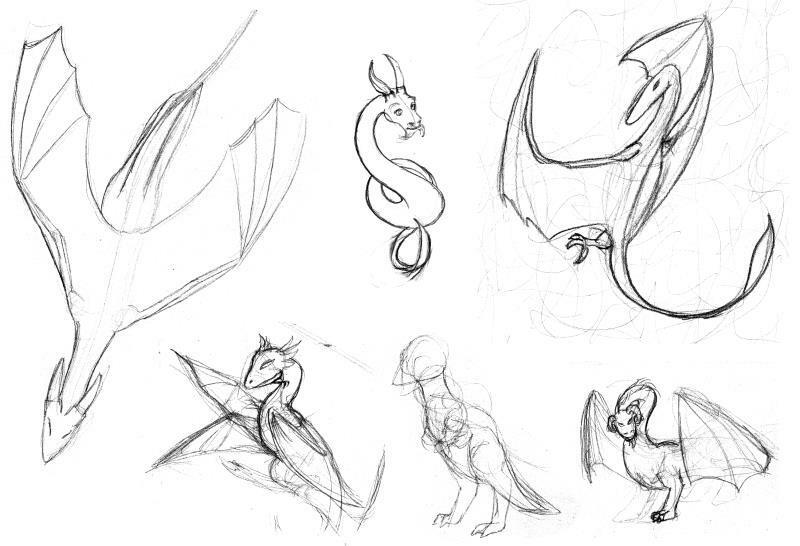 Some rough sketches I did in the last month or so. The one on the top right was one of those images where you squiggle a sheet full and try to find something in the lines that you bring out then. Usually I find nothing.